Almost two years ago just before the global financial meltdown, some of us predicted the end of neoliberalism, globally and specifically in Estonia (see here and also here). History has proven us wrong. If anything, the lean state ideas are more powerful than ever, at least in Estonia and in the Baltics generally. Many would say that the neoliberal and new public management (NPM) ideas of non-intervening and lean state have never really left the Baltic policy scene. Yet, one would expect that with these economies being hit probably the hardest by the financial and economic crisis that this would lead to some sort of backlash against the established neoliberal ideology. It certainly has not, on the contrary: with the budget cuts in 2009 the lean government ideas seem to have gained even more in currency. Thus, for example, in Lithuania, the new government that took office after parliamentary elections in November 2008 campaigned on the basis of a NPM platform. Similarly the Latvian government adopted in 2009 a public administration reform agenda called the ‘Optimization Plan’ with the main objective to minimize the state. 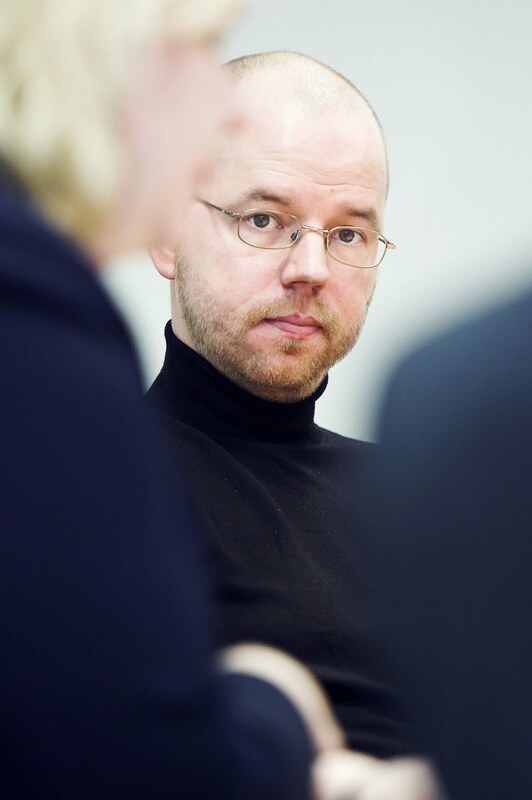 In Estonia, the crisis has re-enforced NPM reform ideas to reduce the civil service, to outsource accounting and similar functions, to widen performance management, and so forth. (The examples are from a forthcoming work by Peters, Pierre and Randma-Liiv, no link available yet.) Also in economic policy sphere all Baltic States have not substantially changed their basic neoliberal policy outlook as main policy focus is turned to cutting back public spending. Ironically, without the European structural funding which embodies precisely the opposite ideas to neoliberal program, the Baltic States would be all but stripped of all funding in labor market, R&D and other key policy areas to counteract the crisis. This goes certainly against global trend where at least during 2009 there was a lot of talk and policy action about the return of the state in the aftermath of the global financial crisis. One stimulus package or bank nationalization chased the other. There’s also more specific evidence that the state is indeed back, at least in some quarters of the world. Thus, for instance, Ilene Grebel argues that the crisis seems to have opened more economic policy space for developing countries in relation to the IMF. Brazil’s recent bold actions in instating capital controls and using punitive tariffs against US (with WTO authorization) bear witness to very different kind of understanding about the role of the state in economic growth as well. So, why is the neoliberal slim state back in full force in the Baltics? I would argue there are three key reasons. First, in particular the Estonian government has been very successful in keeping up the fiscal mythology about the need for balanced budgets. This view is also entrenched in the EU’s Maastricht criteria but has now become much more powerful with the fiscal woes faced by Greece and other EU countries. Ironically, the Baltic States can now serve as examples of prudential fiscal policy within the EU and such powerful wind makes for strong sailing and justifies many a past action. Second, for the last 20 years Baltic policy makers (as their counterparts in the rest of Central and Eastern Europe) have focused only macro-economic competencies (how to keep inflation low and to discipline public spending and so forth) as these were and still are seen as key ingredients in creating attractive environment for attracting foreign investments. This is how they were socialized almost for a quarter of a century by now. In other words, neoliberalism is all what most policy makers know in the Baltics. Third, lack of domestic intellectual alternatives: unlike Brazil or India (let alone developed economies) where heterodox economic traditions go back at least half a century, the Baltic economies and policy makers seem to have all but forgotten their own successful industrial policy experiments during the inter-war period. Thus, to many, a state that reacts to economy by intervening with its functioning still equals Soviet style planning. In sum, the Baltic States seem to seek cure for their current ills in the same medications that caused the crisis in the first place. Baltic policy makers have become addicted to neoliberalism. Yet, fiscal prudence in a deep crisis like the one we are experiencing simply shifts costs either to private sector in form of investments – which are not forthcoming as the private sector deals with debt deflation –, or to future taxpayers in form of social costs (unemployment). Thus, the addiction is paid for by the current European taxpayers (substituting Baltic domestic public and private spending through EU’s structural funding) and the future Baltic taxpayers as key industrial, labor market and other policy reforms are postponed while unemployment grows and wages fall.